Not shown in the video is the Feedback Tab, e.g. For us, one of the hallmarks of a successful collaboration is that our academic partners’ own disciplinary community of educators recognise the advance they’ve made. Here’s a brief, very helpful introduction that Cherie wrote for her peers. Her work has excited significant interest with colleagues around the world, who are now initiating their own projects to install our software for piloting with their students. 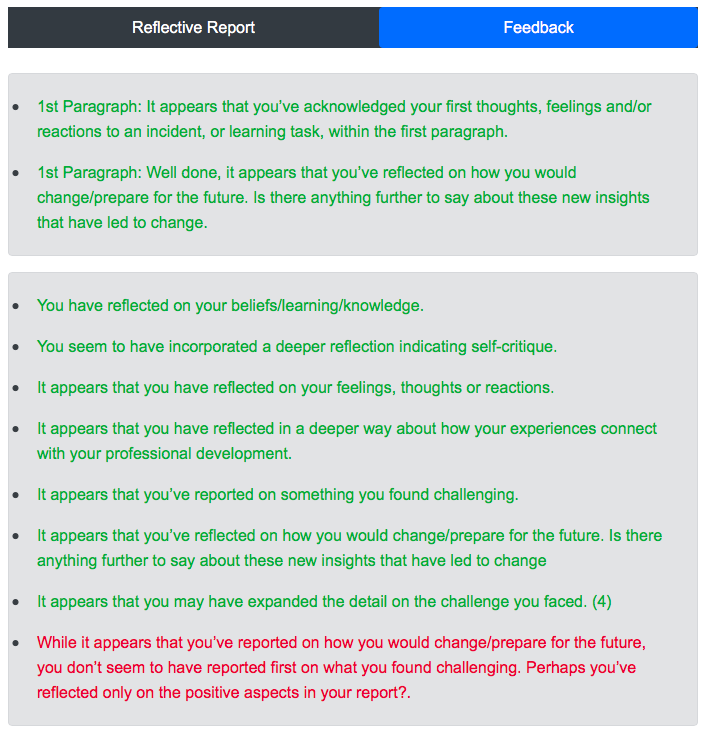 Lucas C. (2018), Accessorizing the Science Foundation with Internal Mirrors: A Novel Open Source Tool to Enhance Reflective Practice. Pulses. 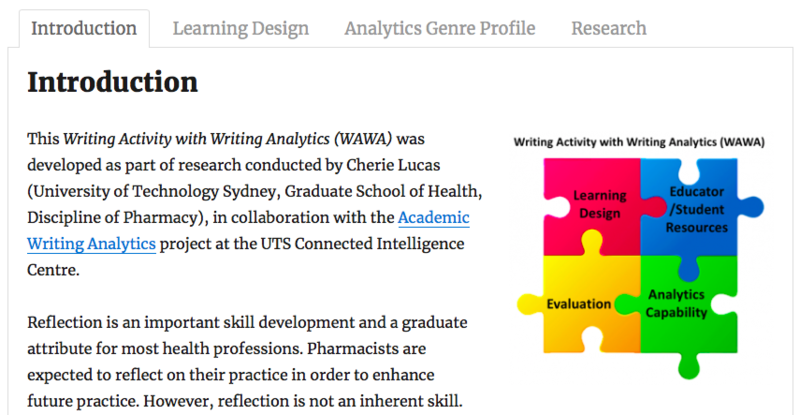 Currents in Pharmacy Teaching and Learning Scholarly Blog. August 28, 2018. 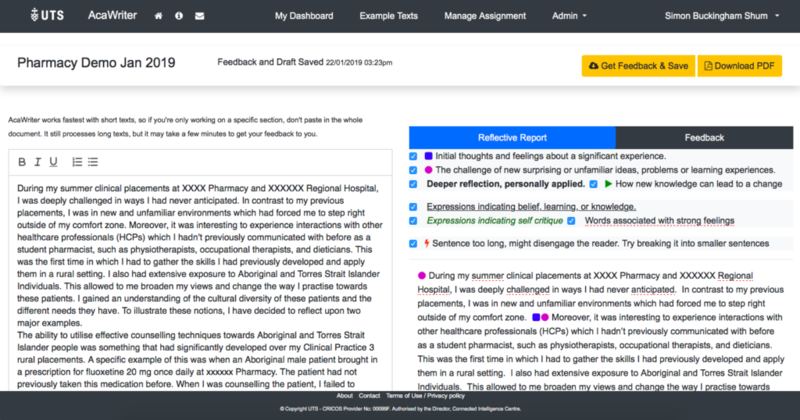 Lucas C, Gibson A. and Buckingham Shum S. (In Press), Utilization of a novel online reflective learning tool for immediate formative feedback to assist pharmacy students’ reflective writing skills. American Journal of Pharmacy Education.